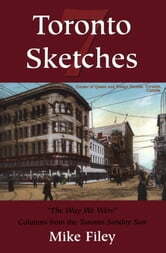 Mike Filey is back again with another installment in the popular Toronto Sketches series. Mike’s nostalgic look at the city’s past combines legend, personal anecdotes, and photographs to chronicle the life of an ever-changing city. Among the stories in this volume, Mike looks back to the introduction of the "horseless carriage." He laments the loss of great movie houses of the past - the University, Shea’s Hippodrome, the Tivoli - and applauds those looking to save the Eglinton Theatre, and he tells the history of the King Edward Hotel as it enters its 100th year. 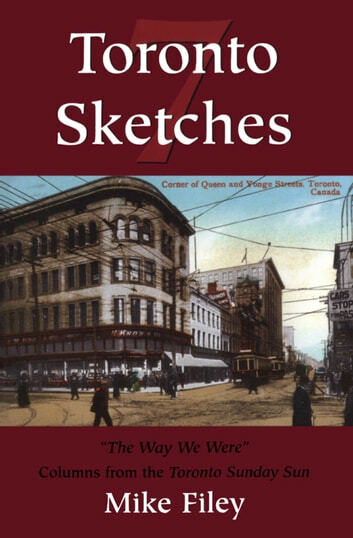 Toronto Sketches 7 is a valuable addition to the collection of any fan of Toronto history.